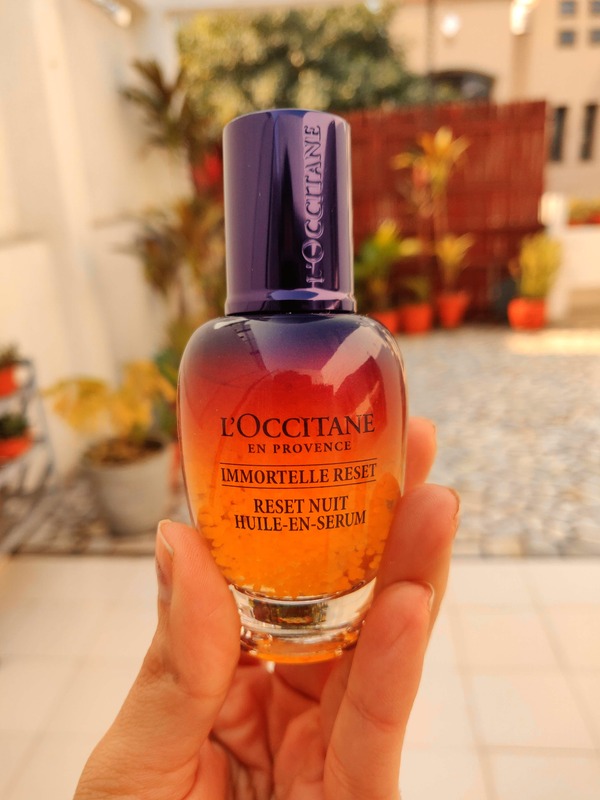 I'm not the kind of person that would recommend just one single product, but I tried this overnight serum by L'occitane and liked it enough to make the effort. Called the Immortelle Reset, it makes a bold claim; It'll reset your skin in 28 days (of regular usage). I'm not a skin regimen type, but I figured that maybe it was time to try something; so I started small. A light, non-sticky serum, I spread about two small dollops across my face and jawline every night. I will admit, somewhere between nights 10 and 12, I got a zit (not sure this was the reason, though) and almost freaked out enough to stop using it. But I powered through, and I'm glad I did. While I didn't wake up with Audrey Hepburn's face on day 29, I could see a veritable difference with my skin in the last leg of using it. The general texture was smoother, marks had been lightened (to a degree), and it felt just the tiniest bit firmer. I'd definitely recommend giving it a try; I'm still using it. It's priced in a way that it's an investment; but it's definitely one worth making.